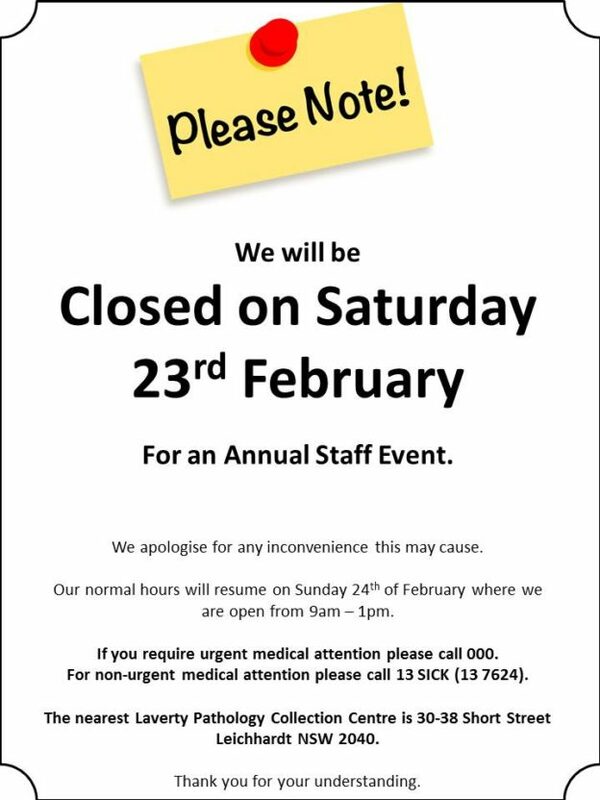 We will be Closed on Saturday 23rd February For an Annual Staff Event. Our normal hours will resume on Sunday 24th of February where we are open from 9am – 1pm. If you require urgent medical attention please call 000. For non-urgent medical attention please call 13 SICK (13 7624). he nearest Laverty Pathology Collection Centre is 30-38 Short Street Leichhardt NSW 2040. This entry was posted in Homepage, Practice News on February 8, 2019 by admin.